​1. 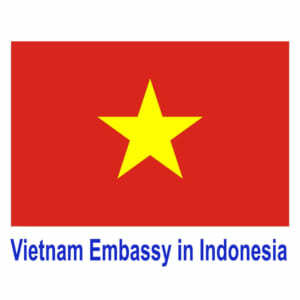 ​​Get Profile ​​Applications filed at the headquarters of diplomatic missions, consular offices of Vietnam in foreign countries (hereinafter referred to as representative offices). Time and result records: the working day prescribed by the Agency representatives(except for holidays, holidays under the provisions of the host country and the holidays, New Year’s Day as prescribed by Vietnam ). ​2. ​​Considering settlement ​Agency representatives receive dossiers,consider and resolve. ​3 ​​Returns results ​​Get live results at the headquarters of the agency in accordance with receipt records. ​3 01 copies of documents sent abroad under the provisions of Article 4of Circular No. 02/2013 / TT–BNG dated 25/06/2013 of the Ministry of Foreign Affairs, guiding the granting, renewal, amendment and supplementation diplomatic, official passports and diplomatic levelsvisa applicants for cases referred to in paragraph 1, paragraph 3 and 4 of Article 16 of this Circular. ​5 ​Diplomatic passports, official passports have been issued or reported lost passport application certified by the authorities in the host country.